Once collected and processed, specimen quality is of prime importance for test results. Using specimens that have not been properly collected, labeled, handled, or stored can have an impact on the value of a test. Patient care decreases when lab professionals mismanage specimen. Use transport media and swabs for reliable testing results. Follow procedures and use high-quality equipment to provide satisfactory patient care. Flocked swabs are one example of equipment used during specimen collection and with transport media. Enrichment media facilitates the growth of a specific organism by providing essential nutrients. Or sometimes contains an inhibitory substance to prevent the growth of normal competitors. An organism requires nutrition and a special environment to grow. 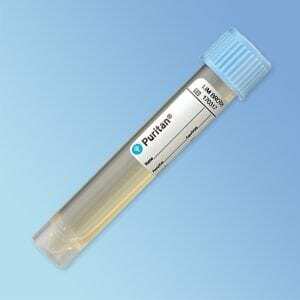 Use Enrichment media when a low amount of potential pathogens are present in a specimen. More and more, research facilities and labs are using enrichment and transport media to support the process of recovering and detecting pathogens after collection. Companies like Puritan have come up with the solutions in form of liquid-based media offerings such as Lim Broth Transport Medium. Puritan Lim Broth Transport Medium. LIM Broth: Liquid to test for Group B Strep in expectant mothers. These products play a vital role in cultivating clinical specimen and making things easier for microbiologists, nurses, and other workers associated with healthcare industry. Transport medium is a balanced, non-nutritive medium that provides a controlled environment to maintain the survival of microorganisms. All this without causing growth from the time of collection to the processing stage. There are many types of transport media used for different types of specimen collection. We can generally categorize them on the basis of their physical state and their functions. Transport medium is required for samples that may contain pathogens but could not be processed right after the collection. It may be urethral swabs, stool, nasal and throat swabs. These systems maximize specimen collection and make it more convenient via easy handling and rapid release. For example, use UniTranz-RT® for transport of viruses. As well as Chlamydia, Mycoplasma, and Ureaplasma bacteria specimens. Contains antimicrobial agents and incorporates glass beads for efficient vortexing. Available with a select offering of tipped applicators or as stand-alone vials. This provides the ideal environment to protect aerobic, anaerobic, and fastidious bacteria viability for transport to the lab. Proven compatible with automated instruments and reliable for molecular transport. Almost all of these systems come with swabs for simple collection and elution. And conform to the M40-A standard for microbiological transport systems. For microbiology testing, initial collection of samples is of prime importance. Errors occurred at the initial stage cannot be rectified at a later stage. A person performing the test should wash hands before and after specimen collection. Use Appropriate personal protective equipment such as disposable gloves throughout the process. Use Transport medium to preserve microorganisms during transportation. Accurate and rapid sensitivity reports can save lives and help provide the quick and right treatment. Yet, you can only get accurate results when lab operators use the right methods, tools, and enrichment and transport media to collect, transport, and store the specimen. There are plenty of options when it comes to swabs and other tools for collecting specimens for diagnostic testing. But, it is important to equip your lab with high-quality and approved media transport swab systems and tools. Leading health researchers are of the opinion that flocked swabs are the top innovative, single-use devices that accommodate superior specimen collection and elution processes. Flocking is a process where multi length-fibers are applied to an adhesive-coated surface to bring about improved sample collection characteristics in the applicator. When it comes to specimen collection, Flocked swabs offer many applications and advantages. Health professional use flocked swabs and transport media to detect and recover pathogens. 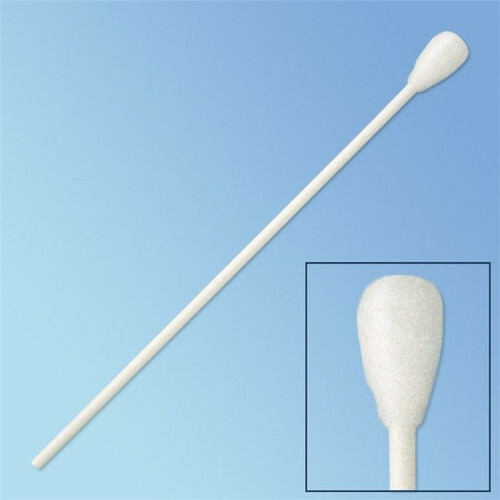 Flocked swabs have uniform, fine bristles arranged around the applicator tip. This assures ultra-clean tips and reliable performance. Unlike traditional wound fiber swabs, flocked swabs have no internal core to absorb and trap collected specimens. Flocked swabs have a velvet-like brush tip and provide superior collection and release characteristics. Flocked swabs have the ability to collect organisms and rapidly release entire cells. Flocked swabs an ideal choice for rapid diagnostic tests. Patented Puritan flocked swabs known for premium quality manufacturing and unique design leading to higher sample yields. It is important to collect and keep a larger amount of specimen to generate refined results. Flocked swabs designed by Puritan have no inner fabric to absorb the specimen that leads to rapid elution. They not only bring about better sample yield, but also facilitate a complete release of the sample into liquid media. Accurate, rapid culture, and sensitivity reports are critical factors in examining biological elements. A patient with an infection needs quick and appropriate treatment. Puritan’s patented flocked technology turns each strand of fiber into a fiber-like brush. Which makes it possible to obtain excellent collection and release of specimen samples. 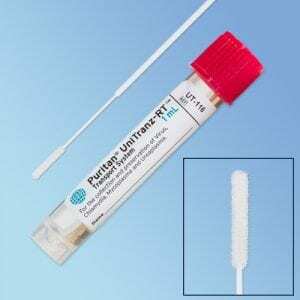 Puritan flocked swabs support easy and effective transport procedures. Pre-molded breakpoints with printed instructions make it easy to break the handle before attaching the cap to the vial. After sampling, one can replace the top part of the tube cap for trouble-free transport. Harmony Business Supplies offers viable, dependable, high performing Puritan swabs, applicators, tongue depressors, and other clinical tools. You’ll find specialized specimen collection and handling applicators including media transport system kits that include collection swabs. You can call us and get free help if you need more information on our products. We will be happy to assist you. 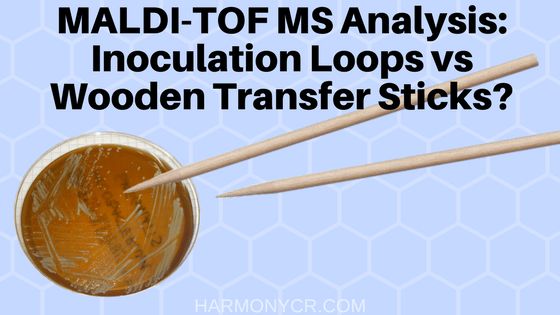 MALDI-TOF MS Analysis: Inoculation Loops vs Wooden Transfer Sticks? MALDI analysis stands for matrix-assisted laser desorption/ionization and is used in a variety of industries to identify bio-molecules, such as DNA as well as organic molecules, such as polymers. TOF MS stands for time of flight mass spectrometry. MALDI-TOF MS can be used in microbiology, as well as biochemistry and medicine. In medicine specifically, the technique is used to diagnose certain diseases. For instance, MALDI-TOF can identify a specific membrane protein linked to pancreatic cancer, and it can also pick up on necrotizing enterocolitis (NEC), a serious disease that can affect infants. MALDI-TOF is commonly used to detect potentially aggressive diseases because it can analyze samples rapidly. It does not require the same amount of time required to process samples as certain other sampling techniques, such as X-ray crystallography. However, the tools with which MALDI-TOF is performed also impact the rate at which results are produced. For many years, lab technicians have relied on metal or plastic inoculation loops, commonly referred to also as smear loops and microstreakers, to collect bacteria for MALDI-TOF testing. While reusing an instrument may seem like it would help you save on operating costs, the process can actually have adverse effects: it’s quite time-consuming and can even compromise your samples. Consider the fact that traditional inoculation loops must be completely sterile before being used. Using a micro incinerator or Bunsen burner, the person processing the sample must autoclave the inoculation loop for a period of at least 10 seconds prior to sampling. This must be completed every time, which can lead to a long, drawn-out process. Additionally, you must also introduce your environment to an open flame repeatedly, which presents its own set of risks. The inoculation loop must then be cooled, but in order to prevent contamination, you must use a pure sterilization source such as sterile agar. The instrument should be cooled for at least 15 seconds to cool it completely; otherwise, you could risk compromising the bacteria due to its heat. In clinical environments where many samples are processed in the course of one day, this procedure can quickly become too time-intensive. Additionally, the risks of human error and potential contamination increase substantially when you continuously reuse the same instrument. Thus, many users have sought disposable solutions to expedite their workflow. Unfortunately, plastic loops can be too costly to dispose of between each sample. For this reason, many lab techs need a cost-effective yet sterile instrument they can perform MALDI-TOF testing with. 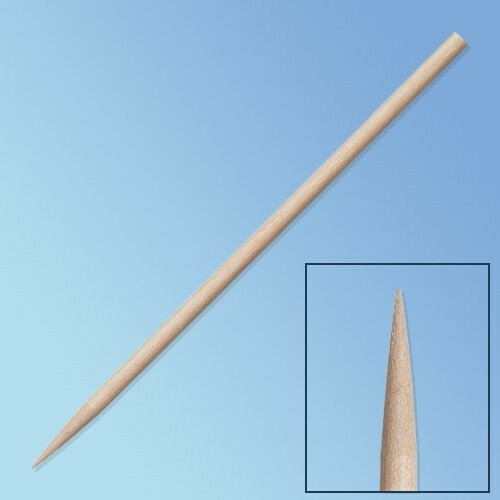 Enter the Puritan Tapered Pointed wooden applicator stick. Featuring pointed tips, these sticks can transfer samples with ease, completely eliminating the need for sterilization in between processing. They’re also affordable enough to be disposed of without impacting your bottom line. And in fact, because of the time savings achieved through this approach, using disposable wooden applicator sticks to perform MALDI-TOF testing typically winds up being the more economical option in the long run. You can choose from Sterile or non-sterile applicators for transfer to MALDI racks for analysis. 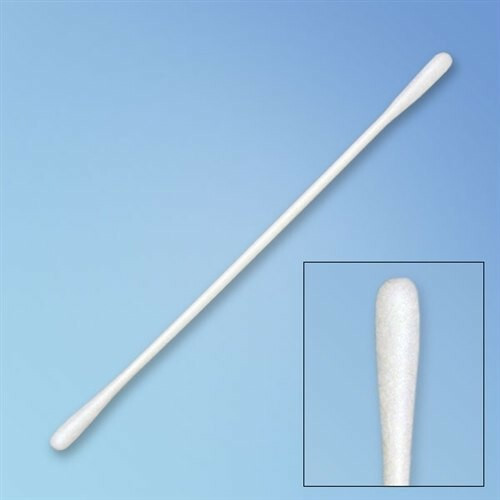 Harmony Business Supplies has a broad range of wooden applicators available online, including sterile tapered pointed wooden applicator sticks. If you need any assistance with your order, simply reach out to one of our product specialists for help.